In the most devastating, impossible-to-imagine grief of the death of loved ones – especially your children - it would not be unexpected for a person to turn inwards, away from the rest of the world. You couldn’t blame them for it. But there are some people who, despite their agony, find a strength and determination in the depths of their despair that drives them forward, advocating to save other families from experiencing the same tragedy. Kay Parkinson is one of these extraordinary people. In Cambridge this October, her advocacy work will bring together patient/carer support groups, academics, healthcare professionals and the medical industry in an event to establish best practice in rare disease research, treatment and care and ensure patients and their families are put at the centre of all discussions. She's also developing a model for regional, patient-led services that can be replicated country-wide. Like most parent/patient advocates, Kay didn't set out to be a medical game-changer. However, when her two children, Charlotte and Matthew, became increasingly ill, she had no choice but to stand up for them. They were diagnosed as teenagers with the ultra-rare disease, Alström syndrome. They'd been previously misdiagnosed four times. One in 17 people will develop a rare disease at some point in their lives – that’s almost two children in every single classroom. 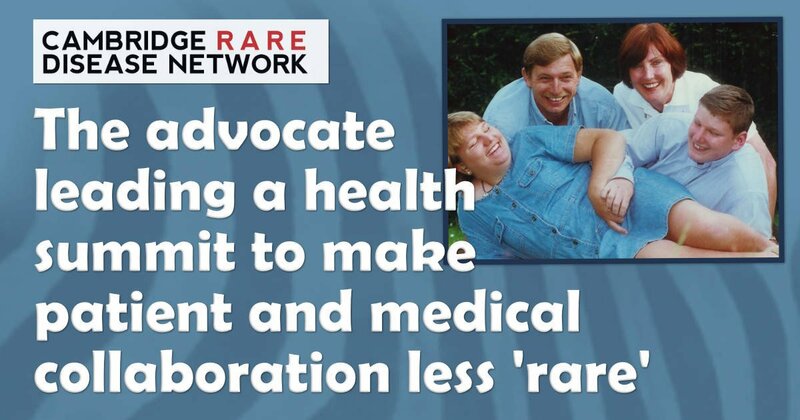 You may hear us talk a lot about "rare disease" but in those terms, that's 3.5 million children and adults in the UK whose illness has no specialist care or treatment system such as there is if, for example, your child has diabetes or asthma or even cancer. Most of these diseases manifest in early childhood and many, like cancer, can be life-limiting conditions. Like many families who have children with little-known health conditions, Kay found there was no support, no care pathway, no treatment protocols, no medical expertise and no coordination of care. The in-patient hospital care and at-home social care were inadequate and left Kay struggling with her children’s declining health and multiple medical appointments. While getting a diagnosis helped locate international groups, there was nothing in this country, so Kay founded her own support group and website that went on to become an award-winning charity, Alström UK. From her back bedroom, she began to develop family support resources while also working full-time and, of course, caring for Matthew and Charlotte who were becoming more ill as time went on. Over the years, ASUK's work developing medical handbooks and patient resources has led to doctors becoming more informed and gaining a greater understanding of the condition. Patients and doctors have worked together to develop better care and multi-disciplinary clinics in partnership with Torbay Hospital and Birmingham Children's Hospital. They’ve become trail-blazing models for other rare diseases. Sadly, the development of this work could not keep up with the decline in health of Kay’s own children. They'd experienced poor medical support and delays in kidney and heart transplant referrals. After complications with their respective transplant surgeries, Matthew died in 2003, aged 25 and Charlotte passed away aged 29 in 2010. Losing both her children to Alström, made Kay even more determined and ASUK started patient-led research into the condition. In 2001, scientists identified the AS gene. Now genetic testing can aid earlier diagnosis, there is greater awareness of the condition's symptoms and that preventative treatments, diet and exercise can slow down the disease. Kay, meanwhile, broadened her advocacy work, founding the Alström Europe (AS EU) charity, where she serves as a Director. 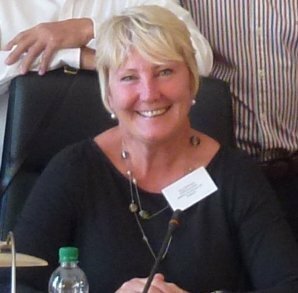 However, as well as working across Europe, Kay understood it was important to address the deeper issues of the isolation of families living with different rare conditions closer to home. Last year she became CEO of Cambridge Rare Disease Network, a newly established charity working to build a regional community of people in Cambridgeshire to address the unmet needs of rare disease patients, their families and the professionals who work with them. They do this through community activities, awareness-raising events and closer collaborations with scientists and researchers developing new treatments. They want all patients and carers affected by rare disease in the region to join together to create a united regional voice to help develop user-led services. It’s the first of its kind in the country, but they're hoping this model can be replicated in other regions across the country. While individually, patients and families and their needs are seen in isolation, as a regional collective, they can form a powerful regional voice that is able directly to influence the delivery of medical and support services at every level. This can also provide better information for service planners who may not otherwise understand where specialist provision is needed. How can you find out more or get involved? With advances in medicine and genetics, diagnosing and treating rare diseases, as with all conditions, will keep improving. Kay Parkinson believes it’s now vital that patients, researchers and the NHS can work together so these advances make the leap from the lab bench to the bedside and in quality of life enhancement. To further this, the CDRN are holding the Cambridge International Rare Disease Summit 2016 on October 25th in Cambridge. There are an impressive range of speakers, including Ben Howlett MP, Chair of All Party Parliamentary Group (APPG) on rare, genetic and un-diagnosed conditions. One of the questions at the heart of the summit is how patients and their families can be central to all discussions? This is a question that concerns all of us who live with a rare condition (or two) and I'm very happy to say that SNJ (Marguerite and I) will be there with a stand of our own information. The seminar is open to patients/carers, charities, medical professionals, researchers and those in the healthcare and medical industry. Everyone is needed to make a difference and everyone’s voice – especially patients’ – is important. Don’t forget, Kay Parkinson, although now CEO, would consider herself a patient advocate most of all. Her role is a testament to the growing recognition of the Expert by Experience, the voice that for too long has been ignored or even belittled, instead of being where it must be, at the heart of patient care.